More and more people are starting to realize that their cable or satellite bill is becoming one of their largest monthly expenses. This has led to a large amount of people cutting the cable cord to save money. If you can do with watching new shows or programming later on then cutting back on your cable bill is going to save you money. Lets look at the various ways people are using to cut their cable bills. Streaming Devices – If you are going to stream programming you are going to need a device that streams. Don’t worry this is no big deal because most newer devices have some kind of streaming capability built into them. All the video game consoles and most blu ray players have streaming capabilities. You can even hook your computer up to your tv and use it as a streaming device. If you want to invest a little more money you can buy a Roku or Apple Tv devise for streaming. Personally I use my PlayStation 4 and my laptop..
Streaming Services – You have the option of paying for steaming services like Netflix, Amazon Video and Hulu. You can also watch lots of content on YouTube. 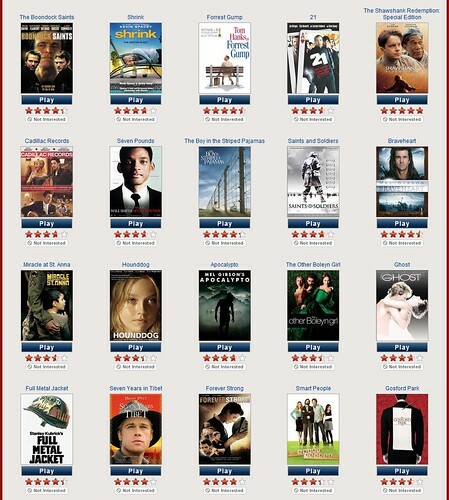 For a price much cheaper than cable you can watch all of the content you want on demand. HD Antenna – If you want to catch Live TV then you may want to consider an HD Antenna. They are affordable and you can probably find one for under $50 and you are on your way to picking up free tv signals. They are like the old rabbit ears you used to find on tvs. The stations you pick up will be based on your location but you should be able to pick up a few local stations which is great for living programming and sports. Specialty Channels – If you can’t wait for your favorite shows like the Walking Dead to show up on Netflix you can always buy an online subscription to channels like HBO or Showtime. Some channels will also stream their content on their websites for free. Check out A&E or Adult Swim for example for live streaming. Basic Cable – Another option is to just maintain a basic cable package so you can you some local programming and sports and mix it with a streaming subscription. There are a few ways available to save money by cutting your cable cord. You don’t have to pay $100 a month to watch tv shows. You buy a cheap streaming service like Netflix and back it up with a basic cable package or HD Antenna. 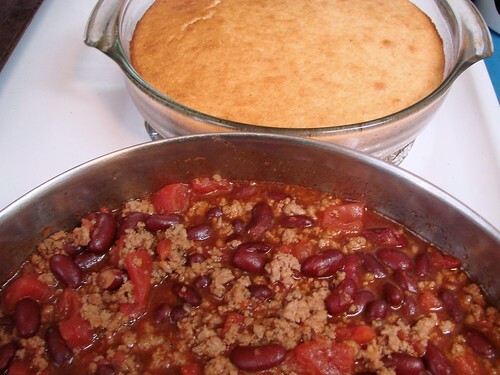 I have been making this very basic Crockpot Turkey Chili midweek for the past couple of weeks. It is inexpensive, easy to make and I end up with more than a few meals that are easy to heat up and I find it quite filling. It’s a very inexpensive meal to make. I use a smaller size crockpot and am the only one eating this so just use one can of each and it makes enough for me to have a dinner and a lunch the next day. You can always add more beans or turkey if you like. Spices to taste such as chili powder, garlic, salt and pepper. Brown the turkey in a pan and drain when done. Add everything in your crockpot except for the Tomato Paste. Let it cook on high for 4 hours at least. If you notice it is too watery I will drain some of the liquid out. In the last hour or hour and a half I add the tomato paste as it will thicken your chili out. That is it. An easy meal and you can probably stretch it out for a couple of meals. I purchased a portable charger battery off of Amazon recently. The reason for my purchase was to have a back up charger for my smartphone when travelling, playing golf or on a day of hiking. It has also proved handy during a power outage we recently had. Then it dawned on me that I can use this battery to save money and here is how. What do people who power their house with solar energy do? They charge batteries during the day to build power banks for later use. The same thing can be done with portable chargers and I have been doing this. I live in an area that has time of use energy charges. The on peak hour rate is quite high compared to the off peak hourly rate. Why charge my electronics during this high rate time if I don’t have to. Game controllers, tablets and phones all require daily or charging every other day. I charge my portable charger in a few ways. I charge it over night when the rates are lower, I take it to work with me and charge it during the day or I charge it with my car when I am driving. I don’t feel bad about charging it at work because I do use it for charging work related electronics when working remotely or on the road. Either way I charge the battery as cheap as possible and then use it to recharge my gadgets when they require it during the expensive hours. I realize this is not a major savings and that you have to buy the charger. Every bit counts and you can get a pretty inexpensive power bank on Amazon. This is one that I am currently using to charge my electronics and gadgets. It’s small enough to pack away for travelling and it easily holds enough charge to keep you up and running and it’s pretty inexpensive. Everybody wants to be able to save even a little bit of money every day. If you can save a little bit of money every day you should be able to put something nice away by the end of the month. Think about small victories. A few bucks a day can add up at the end of the week or the end of the month. Here are some easy ways to save money every day. 1. Plan your meals and do a shopping list. If you can put a meal plan together you can then shop and shop wisely for your groceries that you need. It will also stop you from eating out at restaurants or fast food places. 2. Make your own coffee at home. Stop paying crazy prices for a copy of coffee. This is the easiest way to save a few bucks a day. I bring my own tea bags to work and use the milk that is provided. You can also buy those double walled steel mugs that will keep your coffee warm for hours. 3. Learn how to DIY. There are tons of videos online that show you how to do tasks yourself around the house instead of calling a handyman. We don’t recommend that you get in over your head doing things like electrical work or major products. As an example I had a lawnmower that wouldn’t start. I found some videos that walked me through changing the oil and spark plugs, basically giving it a tune up. Saved the cost of taking it to a small engine place. 4. Worry about yourself not others. I have a friend that loves to buy new gadgets and top of the line products. Let him. I don’t need to keep up with him. Worry about myself. A bonus is that I get his leftovers anyways when he moves onto something new. 5. Use free apps and computer programs to track your spending and saving and track your progress. Once you start to see some benefits of your saving you should get inspired to keep things on track. One of the most expensive parts of traveling these days has to be the cost of airplane tickets. It’s pretty easy to shop around and find deals on hotels but what about saving money on your airfare costs? 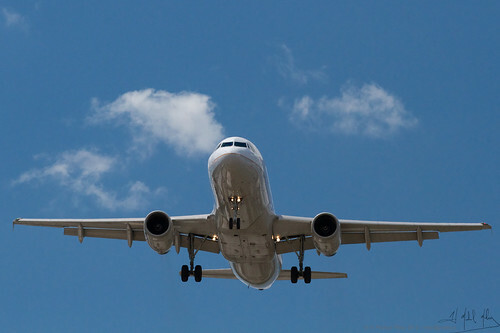 There are a few ways you can save money on airfare and I am just learning this as I am trying to book a flight for any upcoming trip. Sign Up For Alerts – If you know which company you want to fly with or have narrowed down a few sign up for their loyalty program or their mailing list and they will send you notifications for seat sales or even codes for discount airfares. Fly Tuesday, Wednesday or Saturday – It’s agreed upon that these are the cheapest days to fly on. Nobody wants to fly midweek and airlines don’t like empty seats. Fly Off Peak Hours – Search the available times for the day you want to fly and you will see that off peak hours are cheaper. This usually means later a night or very early in the morning but if you can do it you will save on airfare. When to Buy – I have read a lot of different things but most experts agree that buying four to six weeks is the cheapest time to book your flight. Clear You Cookies – I actually watched a co-worker do this. As she searched for vacation packages from her computer the prices constantly changed and they were going up. It’s called dynamic pricing. The more demand the higher the price. So if you clear your cache, clear your cookies or use and incognito browser you will probably see cheaper prices. 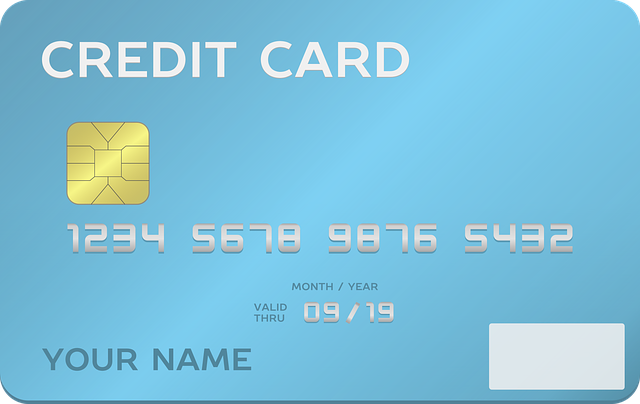 Join Loyalty or Rewards Programs – I signed up for an airline specific credit card. I was given a number of airline rewards dollars I can use towards a flight, free checked bags and a voucher for a flight. I realize that this isn’t for everybody but it saved me money of an upcoming flight. Watch Hidden Fees – A few things can add up like checked bags. Know what you can bring for a carry on. Usually a small travel suitcase and a personal item. I try to get as much out of this as possible. On my last two flights once inside the airport the company checked my carry on for free because they have room. Saving money on your airfare or airplane tickets isn’t hard but it takes some work and research on your part. Do a little digging and put a plan together and you should be able to save money on your next flight. So the kids are heading back to school or the your young adult is off to college. It can be an expensive time for many households but it doesn’t have to be. There are many ways you can save money on back to school shopping. Make a list and stick to it. This is important. You don’t want to be flying all over the place buying randomly. Make a list of what you need and then go after those items and cross reference your list with sales, coupons and cheap places to get those items. A list will help you itemize what you need and help you find the most inexpensive place to get them. Buy used text books. I rarely bought brand new books when I was in college. There are lots of places to buy used text books. Find out if there are used books stores nearby or start a search of websites like Amazon. Take an inventory at home before you shop. 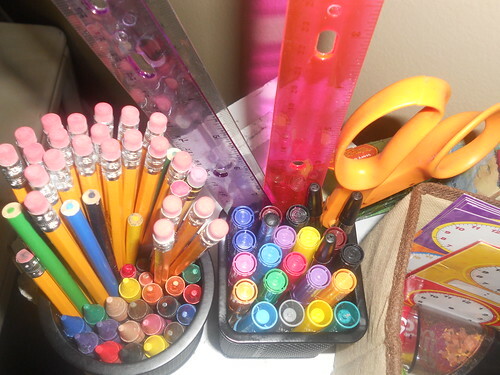 Chances are your closets are filled with pens, crayons, markers, pencils and more. There is no need to shop for more supplies if you already have the supplies at home. Make use of the dollar store. Most of the supplies you need are probably things you can find at a dollar store like pencils, paper, notebooks and even computer supplies. You don’t need to brand name shop for supplies. Garage sales are a great source for furniture and other dorm room essentials for your college kids. You will probably be able to find cooking supplies, furniture and computer essentials at any garage sale. Watch for sales and cut coupons. Start doing some comparative shopping and start cutting coupons or search for online coupons. Enlist social media. Join a Facebook group in your local area that trades, gives away freebies or sells children essentials cheap. You can also start following the major stores you shop at on Twitter or Facebook for coupons and sales. You learn by experience and this week I learned a hard lesson about credit cards. 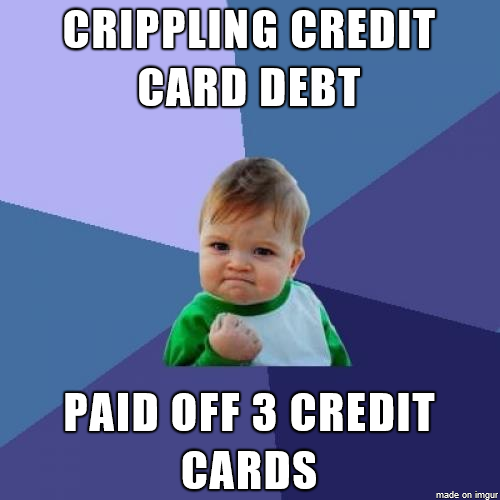 I used a credit card for some entertainment expenses online and was surprised at the end of the month to see a cash advance charge and an interest charge for that advance that had been adding up all month. I take responsibility for the letting this slip by me. I wouldn’t have had this charge I had been checking my credit card account online on a regular basis. If I would have seen it I would have paid it off immediately and not had an interest charge. I hate interest charges. I have now made it part of my weekly plan to check my active credit cards for anomalies and charges. It is estimated that heating your house can account for upwards of 50% of a family’s winter energy bill. This number is too high to ignore. A furnace that is not operating efficiently can have a drastic effect on a persons heating bill. Every year before the winter season starts it is recommended that you have a tune up scheduled with a licensed heating technician. You want to make sure that all of your wires are connected properly and that all of the various electrical components are in good working order. If any of these are not it is going to cost you extra money to heat your house. You also want to make sure that the system is clean and that you proper airflow. Improper air flow will cause a large strain on your system and not only increase your heating bill but also cause the system to fail sooner than it should. Furnaces are expensive you want to get as much life out of them as possible. 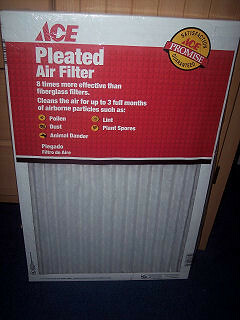 Don’t forget to either clean or replace your furnace filter. A dirty filter will make the system work harder and cost you more money in the long run. If you find yourself getting farther behind then ahead when it comes to saving money you could be committing a number of mistakes that are costing you. Lets look at four common mistakes people make when it comes to saving money and how to fix them. Ignoring Small Purchases – Small purchases can add up in the long run and not keeping an eye on your small purchases can really put a dent in your wallet. Correct this by keeping track of your small purchases and see if you can cut them back. For example, if you buy several coffees at a shop everyday this will add up. Try bringing your own in a thermos. If you spend a great deal on fast food try packing a lunch instead. 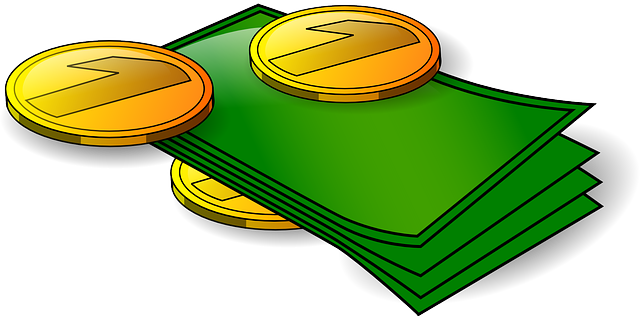 Ignoring Your Balances – If you are have having a problem saving money chances are you are not on top of the balance in your bank account and you are not watching where the money is going. This relates back to point number one but on a bigger scale. I constantly watch my bank account balance to see where my money is being spent and try to find ways to budget better and spend less. High Interest Loans – If you are constantly running over in your bank account, using cash advances on credit cards or high interest debt loans like payday you are not going to get far ahead. You have to start to make changes in your spending habits and do two things. Fix your spending so you are not doing this and get those debts payed off. Start with the higher interest loans first and work your way down. Denial – Denial is bad in anything you have a problem with and denial that you are spending too much is a bad way to be. By accepting the fact that you have to save or that you have to stop spending the way you currently are the faster you will get out of the hole you are in. I realize this all sounds easier said than done and it is. I am not going to lie but if you can start to get a grip on your spending habits, start budgeting, stop borrowing and realize you want to do better, you can.